Often, people at Reservoir are looking for a way to pursue faith that makes sense to them in today’s culture and world. 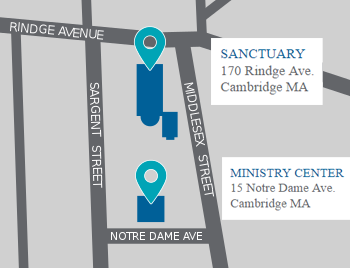 For almost twenty years, we’ve helped people of many different faith backgrounds – and no background at all – do just that. We’ve found that many people have experienced, or hope to avoid, a faith experience that seems arrogant, that is driven by unquestioned acceptance of authority, or feels like a step backwards. Other people are wary of any religious experience that is exclusive, irrelevant, or inhospitable to the culture and stories and experience we all bring to the table. Here at Reservoir Church, we couldn’t agree more, and we hope that’s evident to you when you visit us on a Sunday. Connection: We value life-giving connections and are committed to pursuing God’s wholeness, love, and leading in every moment of our lives, transcending distinctions between sacred and secular. Everyone: We seek to welcome people in all their diversity, without condition or exception, to embrace a life connected to Jesus and others. Action: Love for Jesus compels us to act—to seek justice, show compassion, work for reconciliation, and hope for transformation in joyful engagement with the world. Freedom: We encourage honest exploration of faith over conformity of belief or behavior, trusting that the Holy Spirit reveals truth to all who seek God. Humility: We are wholeheartedly committed to pursuing the truth of Jesus through multiple sources, including the Bible, reason, culture, and experience, and we take the posture of learners, recognizing that our understanding of God’s truth continues to unfold. We find Jesus utterly compelling and believe that a life connected to him simply has more—joy, hope, wholeness, and vitality. 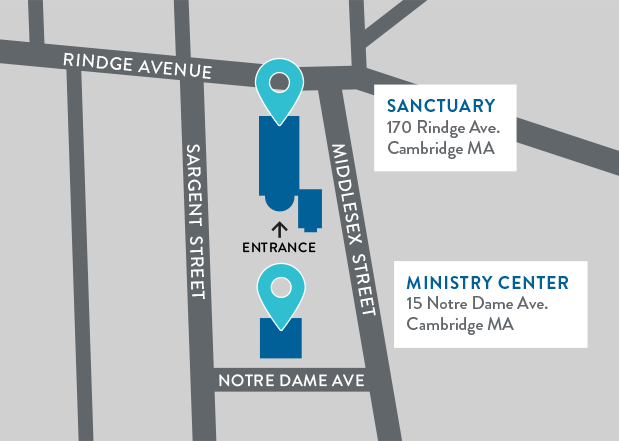 We envision a day when many in North Cambridge and Greater Boston are connecting with Jesus and our church in deep ways and absolutely thriving as a result. Our faith is anchored in the ancient statements that have captured the experience and thinking of the great majority of followers of Jesus throughout history. Our central touchstone is The Nicene Creed. We are also a founding member of Blue Ocean Faith, whose six defining characteristics capture the ethos of our Jesus-centered, fully inclusive, spiritually vibrant approach to faith. Have a question about us that wasn’t addressed here? Check out our Frequently Asked Questions.